Taylor and Francis offers open access to The Geography Teacher issue focusing on the elections through early November. Via @josephkerski. The Galileo Museum in Florence, Italy in collaboration with the Library of Congress’ Geography and Map Division, created an online multimedia presentation on Waldseemüller’s life and cartography. Via @LOCMaps. GIS Geography is very excited about TerrraPop. GIS Lounge, too. From the former: "TerraPop (“Terra Populus”) is the only system that incorporates and integrates both census data from over 160 countries around the world, as well as environmental data describing land cover, land use, and climate. The census data in TerraPop include individual- and household-level records from more than 80 countries around the world and aggregate data from another 80 countries and spans up to six decades, from the 1960s to the present." TerraPop is funded by the National Science Foundation and the University of Minnesota holds the copyright. The data can be used, but must be cited. Redistribution requires permission. Via @USpatial. Last week Esri Canada ran a webinar titled Migration and Publishing workflows using ArcGIS Pro. The recording and slide deck are now available. The weekly discussion topic at Reddit/GIS may be of interest: If it were up to you to create the ideal GIS program at a university, how would you do it? "University of Moncton is considering a major revision to 21 of the programs it offers that could see majors, such as philosophy and geography, axed, while creating new graduate programs." Via ‏@zachvant. The University of Arizona College of Education's Sara Chavarria leads an interdisciplinary team in a three-year project "NAVy Intelligence through Geospatial Applications and TEchnology," or NAVIGATE. It's funded by the Office of Naval Research to the tune of $748,000. The goal is "to encourage ROTC students and student veterans to pursue careers as scientists and engineers with the U.S. Navy." 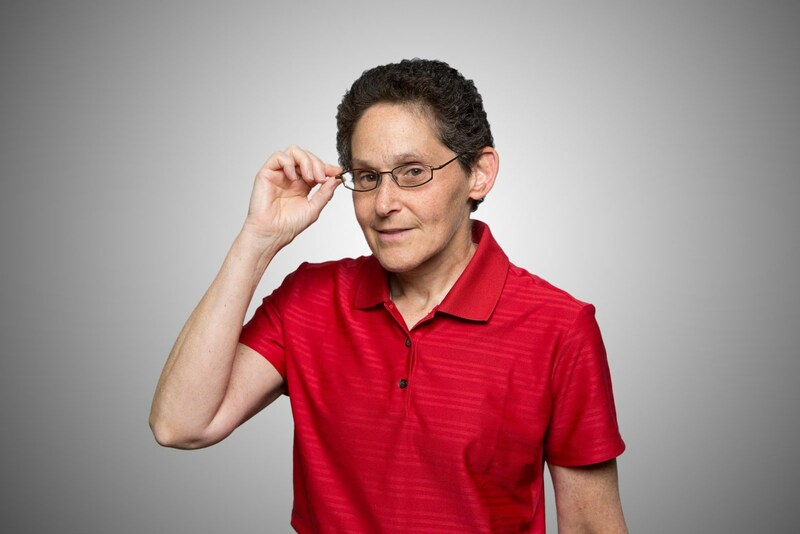 The Co-PI is Karen Sideralis, the one time GIO of Interior. She's now a research scientist in the School of Natural Resources and the Environment, College of Agriculture and Life Sciences. Two face-to-face courses with "supplemental instruction online, will focus on spatial concepts and analysis, teaching students how to use geospatial data and online mapping tools. Additionally, the team is developing teaching and online mentoring guides to aid military science faculty, while also evaluating ways to sustain and expand the project elsewhere." "Northeastern State University's Political Science and Geography departments and Geography Club are celebrating GIS Day, a national movement to help understand geographic information systems technologies and ways it can change society." The school is in Tahlequah, OK. Here's how the GIS Day website describes the day. "GIS Day provides an international forum for users of geographic information systems (GIS) technology to demonstrate real-world applications that are making a difference in our society." "Women underperform on spatial tests when they don't expect to do as well as men, but framing the tests as social tasks eliminates the gender gap in performance, according to new findings published in Psychological Science, a journal of the Association for Psychological Science. The results show that women performed just as well as their male peers when the spatial tests included human-like figures." The research is from UC Santa Barbara. Via @dianamaps. "In the year ending September 30, 2016, GITA North America and its chapters distributed over $30,000 in educational funding to deserving students and organizations. As a way to increase awareness about GITA's scholarship programs, expanded information and links to application forms have been added to the Association website. Use the "Scholarship Programs" icon on the home page to learn more." For students under 16, there's the Barbara Petchenik Children's Map Competition 2017. Submissions must be postmarked by Feb 1. The American Geographical Society is seeking interns for the Spring 2016 semester. The social media, PR and database work is at its Brooklyn Heights headquarters. Participants receive scholarships of between $500 and $1000. The story map Trail of the Coeur d'Alenes won first place in the Tribal Story Map Challenge at the User Conference. The 72 mile long rail trail runs through some the of the Coeur d'Alenes tribal lands. Via @USpatial. "Think you know what Iran is like? 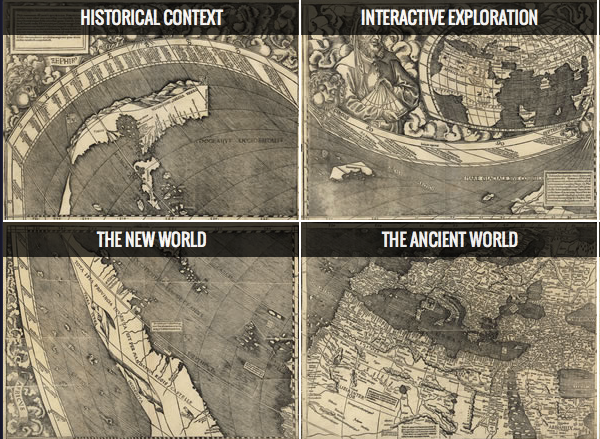 The superb custom story map by @InfiniteCoop will shatter your misconceptions." Esri's Allen Carroll described the map in a tweet. I continue to be frustrated that I can't easily find story map author information. Esri is a partner in FindingLife an effort to link learning and exploring. The latest expedition involved two mountains in Nepal and satellite imagery and maps. 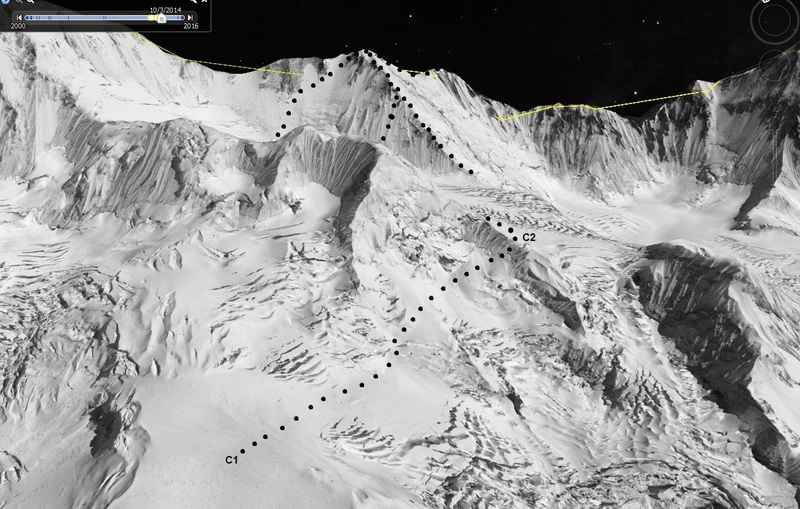 "Below, you can see some of the 3D satellite images that we’ve been using to get to navigate the unclimbed terrain. Our friends at ESRI have put together an incredible 3D map and have even marked the summits using the GPS points we provided them with. In addition, we’ve been using binoculars, special cameras provided by Canon Canada with impressive digital zoom capabilities and high resolution DSLR cameras that I use to photograph the mountains from a distance which we then load into my laptop and study." Via ‏@EliaSaikaly. College Map published by @ipeds_nces, built by Blue Raster, an Esri partner, helps students find schools. It has data on more than 7,000 certificate, undergraduate and graduate-level programs. Details. Via ‏@blueraster. Esri chief scientist Dawn J. Wright, PhD, has been named a 2016 fellow of the Geological Society of America (GSA). GSA recognizes its fellows for their distinguished contributions to the geosciences through research, teaching, and enhancing the public's awareness of geology.